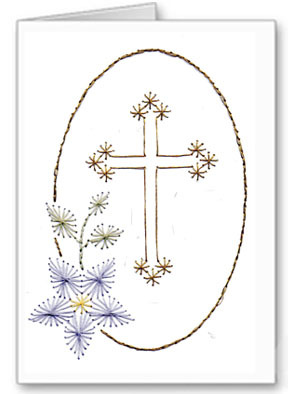 An attractive religious stitching card pattern to make at Easter. It has been stitched in gold thread, with a flower of lilac/blue, but you could use any colours of your choice. The prick and stitch pattern comes with easy to follow step-by-step instructions and colour diagram.